Ben joined chambers in October 2015 having successfully completed his pupillage under the supervision of Christian Kenny, Christopher Wood and Rachel Spicer. Ben also undertakes a wide range of advisory work. He has recently advised on topics such as the enforceability of foreign nuptial agreements, the financial consequences of void marriages and the enforcement of maintenance arrears. 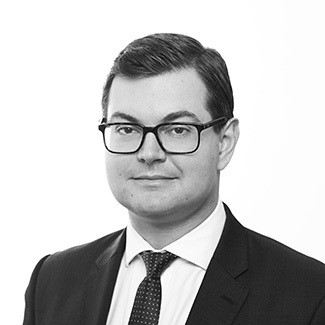 Ben has experience in the full range of Chambers’ practice areas including: claims under ToLATA 1996, CSA appeals and financial remedy proceedings complicated by the existence of concurrent insolvency proceedings. Ben has a particular interest in nuptial agreements and regularly lectures on the same. As a pupil, Ben was also involved in a number of final hearings in the High Court involving assets arranged in complex trust structures, issues of non-disclosure and inter partes costs. Prior to commencing pupillage, Ben worked as County Court advocate. He appeared in over 300 hearings of a civil nature including small claims trials, insolvency and enforcement proceedings and landlord and tenant disputes. Financial Remedies & Private Law Children matters. Nuptial Agreements: The Search for Intention. Click here to view. Ben co-authored the chapter on 'injunctions in aid of financial proceedings' in the 19th Edition of Rayden & Jackson on Divorce and Family Matters. He remains part of the team responsible for updating the text on a quarterly basis. Be also contributes to Practical Matrimonial Precedents and is a regular contributor to Family Law Week via case summaries.